Gear up for one of sport’s greatest rivalry games with an exclusive El Clasico package at Faena Miami Beach. 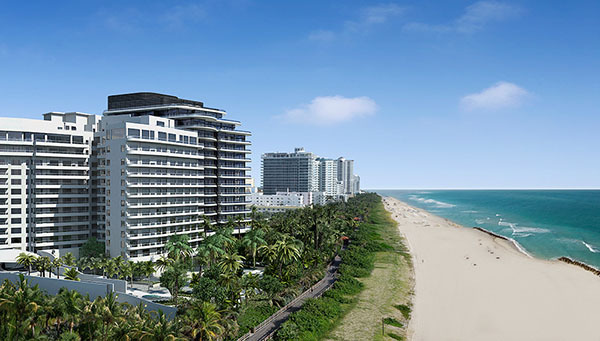 Enjoy a two-night stay in one of Faena Hotel Miami Beach’s striking one bedroom suites complete with daily American breakfast, luxury stadium transfers, premier seating and more before experiencing two of Europe’s most elite soccer clubs—Real Madrid and FC Barcelona—battle it out on the field of Hard Rock Stadium. Package starts at $6,600 plus taxes for stays July 28-30, 2017. Offer is based upon availability and is extremely limited. Reservation must be 100% fully pre-paid at time of booking and is non-refundable. Terms, conditions and blackout dates apply. For reservations, call +1 844 733 4190 or e-mail at reservations-miamibeach@faena.com. Looking for something even more exclusive? Experience El Clasico in VIP style with Faena Hotel Miami Beach’s Ultimate El Clasico Package. Enjoy a lavish four-night stay in one of Faena’s stunning Signature Suites with exclusive access to VIP events, premier match suite seating, luxury stadium transfers and more. Kick off your soccer-studded itinerary with an exhilarating marquee match between champion clubs Paris Saint-Germain and Juventus. Then, witness international soccer stars like Cristiano Ronaldo and Lionel Messi perfect their skills at exclusive practice events from your premier suite-level seats. Your epic weekend culminates with the much-awaited El Clasico match, complete with access to Faena’s Living Room hospitality suite viewing box at Hard Rock Stadium with complimentary food, bar and beverage. Package starts at $23,150 plus taxes for stays July 27-31, 2017. Offer is based upon availability and is extremely limited. Reservation must be 100% fully pre-paid at time of booking and is non-refundable. Terms, conditions and blackout dates apply. For reservations, call +1 844 733 4190 or e-mail at reservations-miamibeach@faena.com.